Our long, tapered Maya earrings add depth, style, and terrific accent to any wardrobe, and also perfectly pair with our Maya pendant and bracelet. 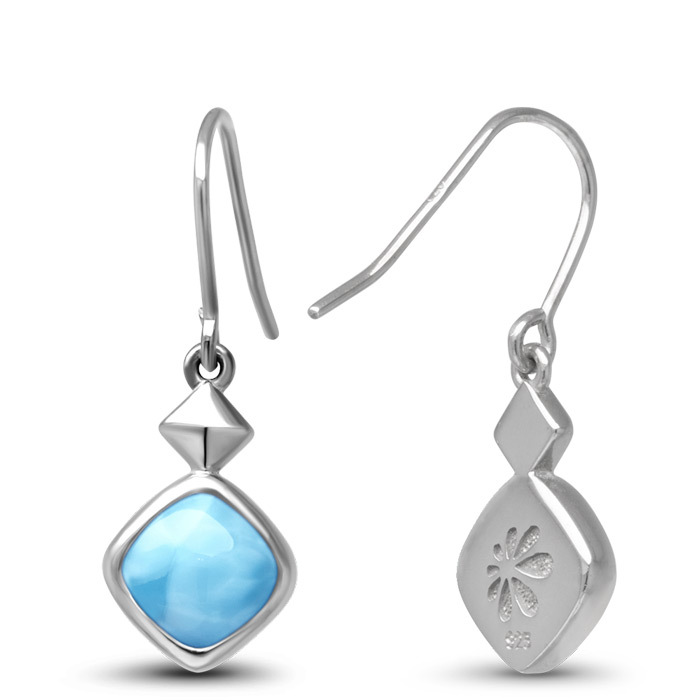 A dollop of shining larimar hangs below elegant white-rhodium-plated sterling silver bands that seem to go on forever. Catch a breath. Catch the light. Catch someone’s eye! Product Details: Two 8mm larimar gemstones with sterling silver.